The Italian city of Genoa is preparing to host over 700 sailors between 15-21 April 2019 for the first ever Hempel World Cup Series regatta to be held in the country. The Fiera di Genova, which hosts the International Boat Show every year, will welcome world class sailors across eight of the ten Olympic events. Racing in the 470s will start on Tuesday 16 April and wrap up on the final Sunday, the 21st. 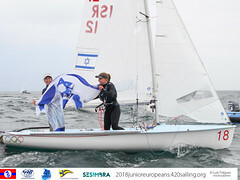 Medal Race will be streamed live on World Sailing's YouTube Channel - www.youtube.com/worldsailingtv. Rio 2016 silver medallists Mat Belcher and Will Ryan (AUS) will spearhead the 43-boat Men's 470 fleet. The Australians rarely finish off the podium so will be firm favourites for a medal. The gold medallists from Enoshima, Keiju Okada and Jumpei Hokazono (JPN) and Miami, Jordi Xammer Hernandez and Nicolás Rodriguez Garcia-Paz (ESP), will join the Australians in the fleet alongside a string of further leading lights. In the Women's 470, 37 teams will fight for gold and Italy's own Benedetta di Salle and Alessandra Dubbini will be keen to impress on their home waters. 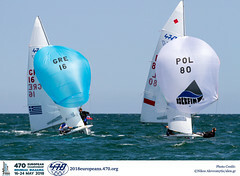 The Italians showed their worth by securing bronze in Enoshima at the start of the 2019 series, and even though leading contenders such as France's Olympic bronze medallst Camille Lecointre, sailing with Aloise Retornaz, and current World Champions Ai Kondo Yoshida and Miho Yoshioka (JPN) are within the fleet, they are certainly capable of taking gold. 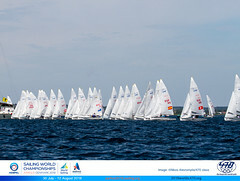 All races will be broadcast live on World Sailing's YouTube Channel - www.youtube.com/worldsailingtv.